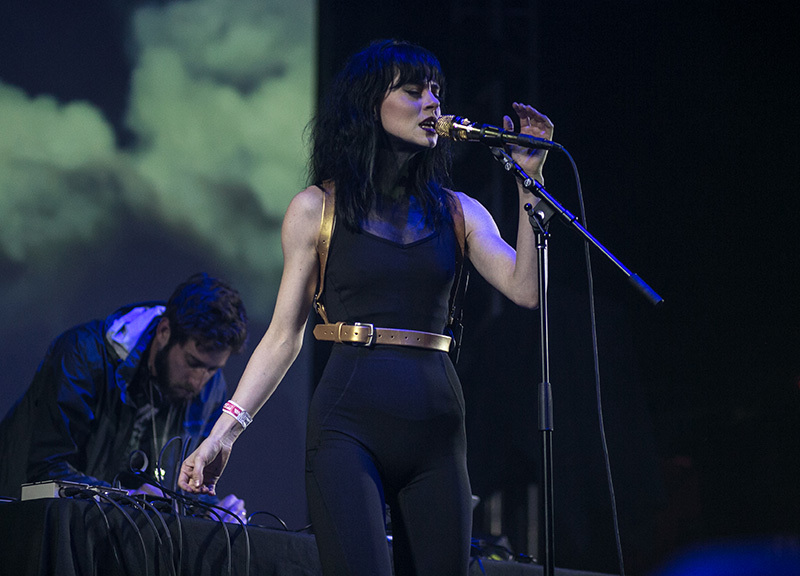 Scenes From Friday Night's Fourth Annual Gorilla vs. Bear Showcase At The Granada Theater. 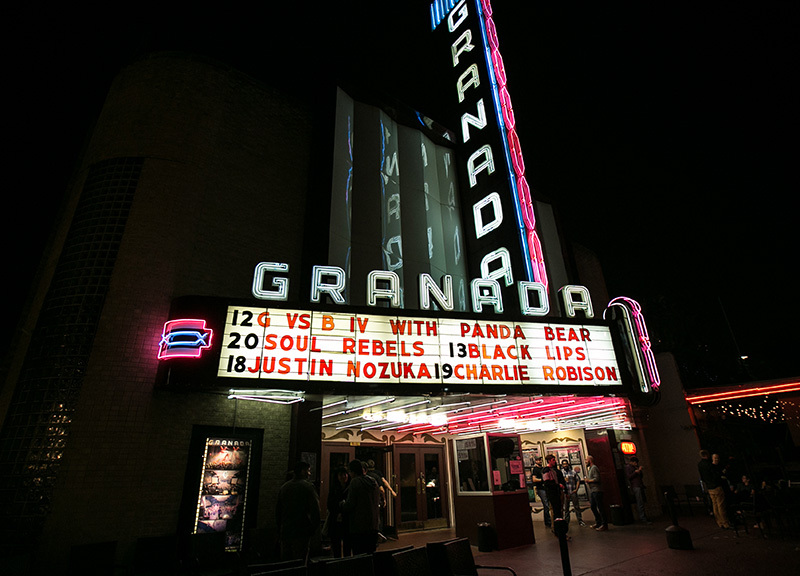 Friday night's fourth annual Gorilla vs. Bear showcase at the Granada Theater featured something of a more linear lineup than earlier incarnations of the event. Which isn't to say that the event was all that different from earlier versions, necessarily. In many regards, it wasn't: As with previous editions, this year's offering was a top-heavy affair featuring a hotly anticipated headline performer and numerous treats to be found among the less-familiar names on the undercard; the crowd, meanwhile, was hip as ever with its aggressive hairstyles and slick fashion choices; and, once again, attendance was solid. 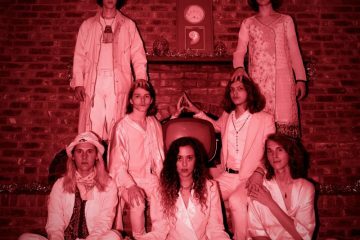 But musically, it was a little changed: Previous years' lineups of this fall affair put together by Chris Cantalini, the creator of the nationally-acclaimed and Dallas-based music blog of the same name, have all boasted a semblance of diversity. 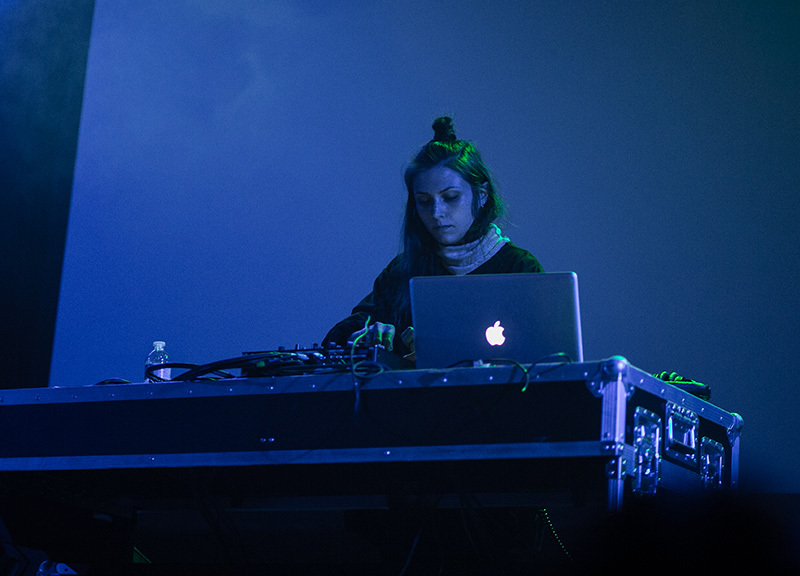 Granted, electronic artists have been prominently showcased at each year's offering, but a five-piece band or hip-hop artist has traditionally been shuffled somewhere in between these knob-twiddlers. Not so this year, as each round of acts performed from behind a keyboard or turntable with only minimal change-ups in instrumentation from one artist to the next. Still, this formula too worked — in large part because of the surprising diversity within these parameters. And, OK, because of Panda Bear, too: There's no doubting the fact that the solo project from Animal Collective's Noah Lennox was the highlight of this offering — and certainly from Cantalini's own perspective. 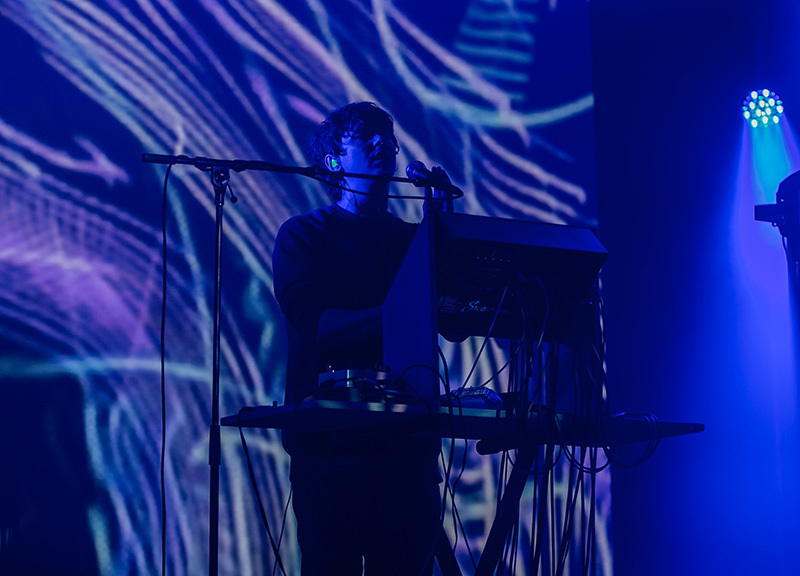 Numerous times of late, Cantalini has called Panda Bear out as his site's single favorite artist of all time. 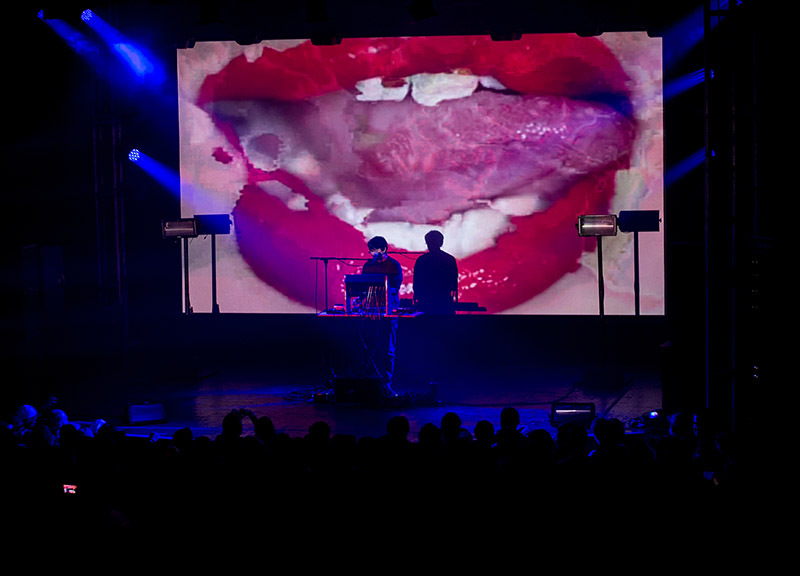 So scoring Panda Bear for this show — which doubled as the kickoff for Lennox's North American fall tour in support of his upcoming new album tentatively titled Panda Bear Meets the Grim Reaper — made for quite the coup indeed. 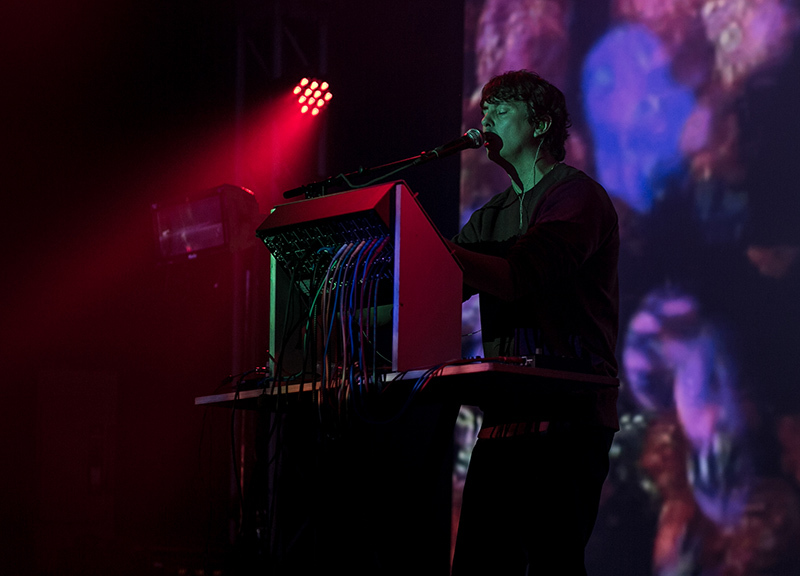 And, fortunately for long-time fans such as Cantalini, Panda Bear's set dazzled with its visuals and soundscapes, which together alternated between the awe-inspiring and the downright frightening as it rested heavily on the laurels of these newer songs. 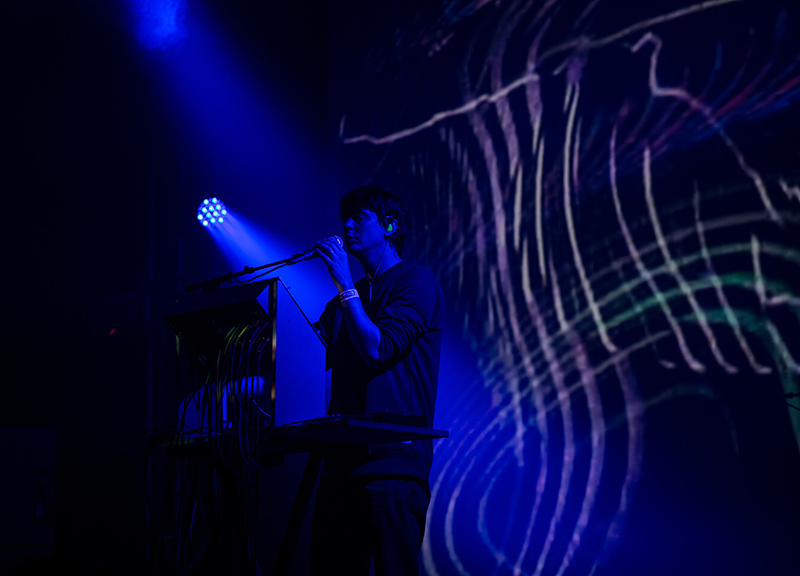 What Panda Bear didn't do much of, however, was move about the stage. Neither did too many of the acts on this night, actually. 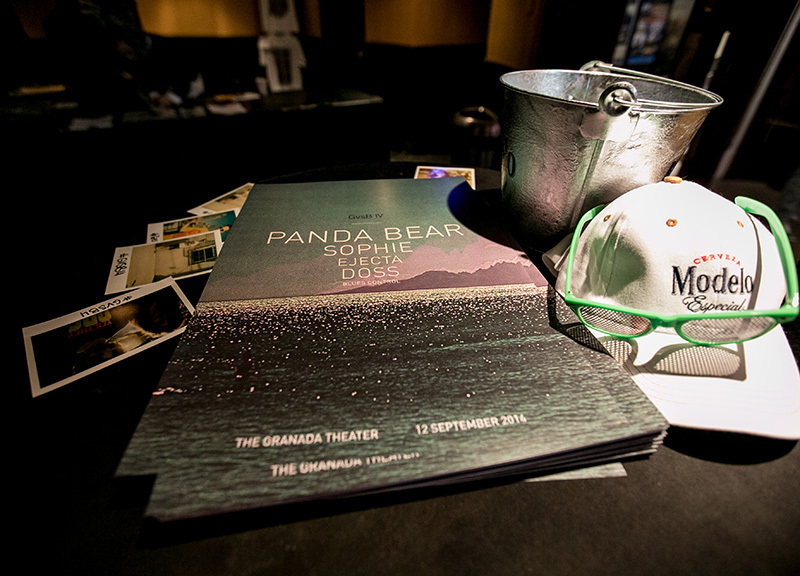 But whereas Panda Bear could get away with that, some of the earlier performers couldn't. 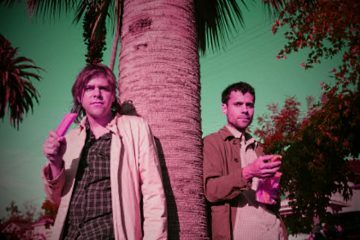 Perhaps that's not altogether surprising: Panda Bear aside, the argument could be made that this was the most obscure GVB offering yet, and, in many ways, the performances from the night's openers felt like odes to what Lennox would eventually bring. Noise-rock two-piece Blues Control opened the night to a still-filing-in crowd, followed immediately by Doss, who was raised in the North Texas area and had a homecoming of sorts on this night, although she didn't acknowledge that return in any way. Actually, that was an odd form of solidarity throughout the night: None of the five of the acts on this bill said much to the audience at all . 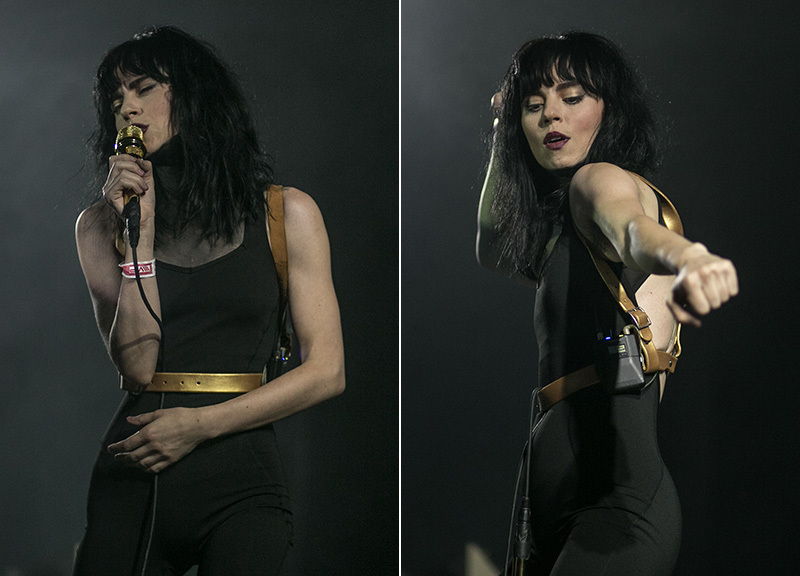 Only Leanne Macomber made any use of Granada's stage as she and her Ejecta collaborator Joel Ford performed the third set of the night. Ford, true to the night's form, stayed put behind his gear set-up for the entire set, but Macomber, out front and on the mic, slinked about the stage gracefully — and sometimes even from the stage's floor. This stage presence was a nice change of pace, and a nice added element to the group's slow-tempo synth pop. 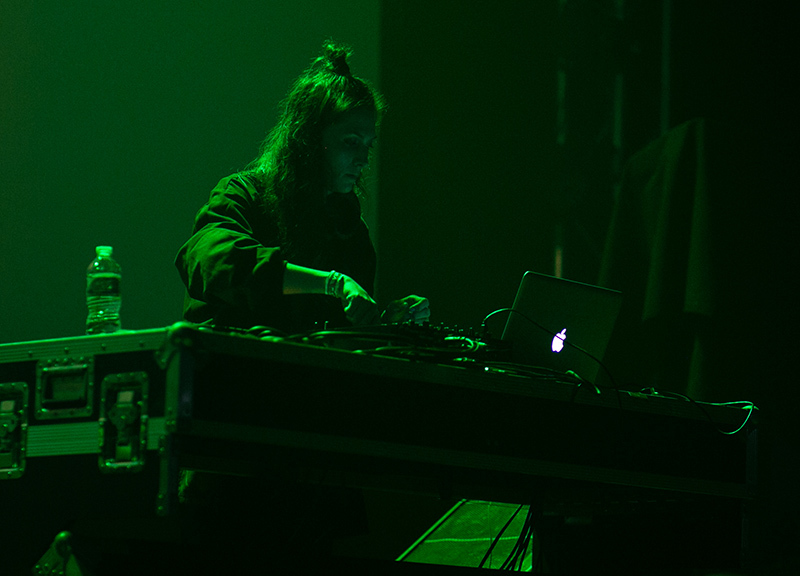 It was almost enough of a scene-stealing performance to grab some limelight away from Panda Bear. Except, well, that was never going to be the case, no. Much as this was Cantalini's night, so too was it Lennox's. Which, give how closely these two have been tied in recent years, is something you've got to figure each of these men is OK with. Previous ArticleThings To Do on Monday, September 15.